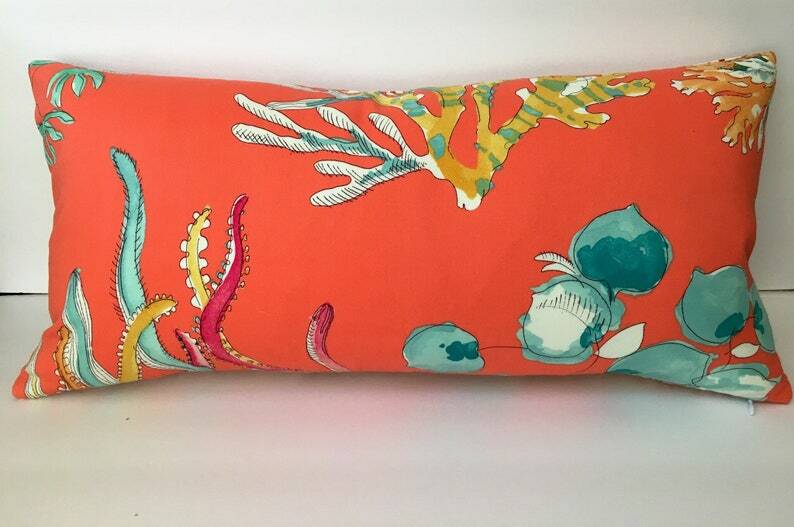 Coral from the sea fabric prints throw pillow sized 12x24 inches. Rectangle pillow is perfect size for accent on a sofa. 2 available. Each is $35.00.